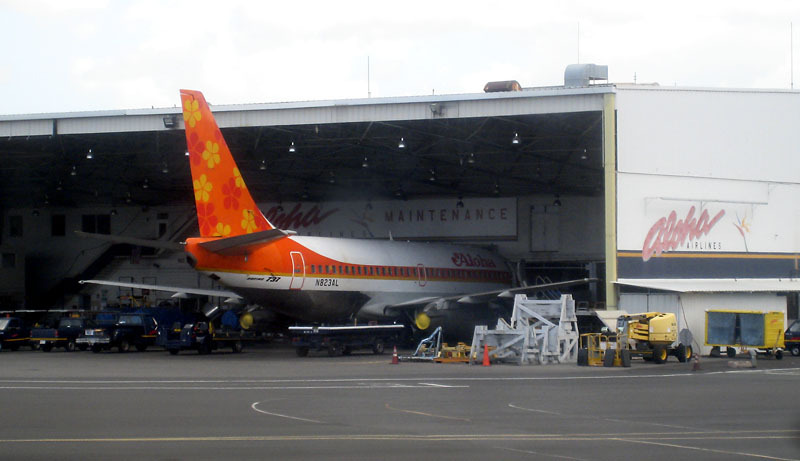 An Aloha Airlines 737 sitting in the hanger at Honolulu International Airport. Not sure what is going to happen with this jet decked-out to look like the flower-power 1970s now that the passenger service is kaput. Hey man – Colleen's planning on a summer Vegas trip. When she passes on dates, we should all meet up there for a weekend. Boyd Vacations time! If I can make it I will, Vegas Baby, Vegas!